In 2015 the world watched as 196 countries signed up to the Paris Climate Agreement. One of the reasons for the success of this Agreement was the existence of a major, coordinated and impactful communications movement that resonated across sectors and with public and policy-makers alike. There now needs to be a similar movement and momentum focused on biodiversity. As with the Paris Agreement, the landscape around the development of a new biodiversity strategy is extremely congested and not always coherent: there are many players, many audiences and many complex, and in some cases contested, messages. For example, the expert meeting that precedes the panel discussion will involve over 50 individuals from around the world discussing just one aspect – the evidence base required – of the new strategy. And yet lessons from the Paris Agreement illustrate how critical it will be to distill this complexity into messages that resonate with decision-makers. 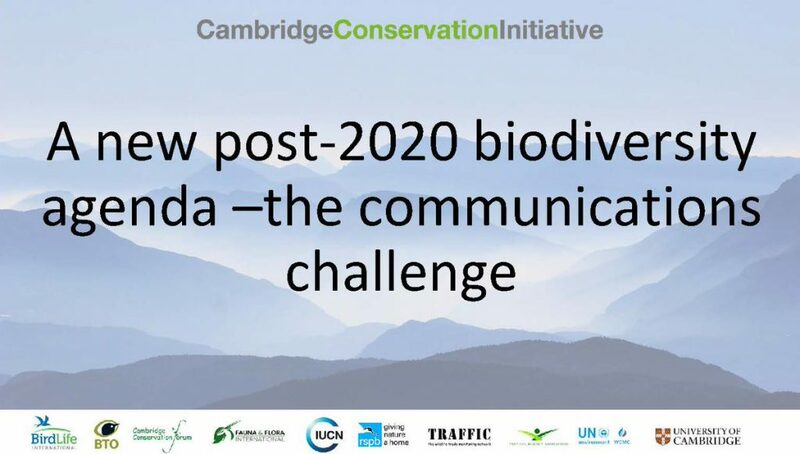 This public panel discussion, hosted by the Cambridge Conservation Initiative on “Setting a new post-2020 biodiversity agenda – the communications challenge”, aims to explore how to transform the complexity surrounding biodiversity and the need to protect our natural world into effective messages to target and mobilize key audiences such as business, government, economics and the biodiversity conservation sector itself, asking what narratives work or don’t work for each of these sectors. 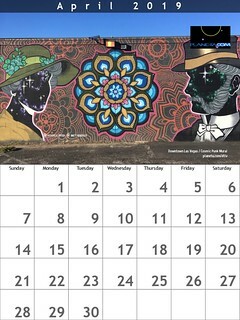 This event will act as a bridge between two other events happening in Cambridge over that week: an expert meeting examining the evidence base required to underpin the development of the new framework for global biodiversity conservation (April 10-12) and a communications dialogue (April 13). What are the takeaways from today’s event? Will tomorrow’s communications dialogue be streamed live? What can we expect from this year’s Biodiversity Day? Biodiversity conservation is a critical topic for our time and one that has been poorly communicated. Holding expert meetings without including the interested public is one reason why so much of the conservation movement fails to engage public sentiment and caring. Kudos to the organizers for livestreaming Thursday’s session, but more needs to be done to make the strategy planning transparent and open. Cambridge Conservation Initiative (CCI) is a unique collaboration between the University of Cambridge and leading internationally-focused biodiversity conservation organisations clustered in and around Cambridge, UK.